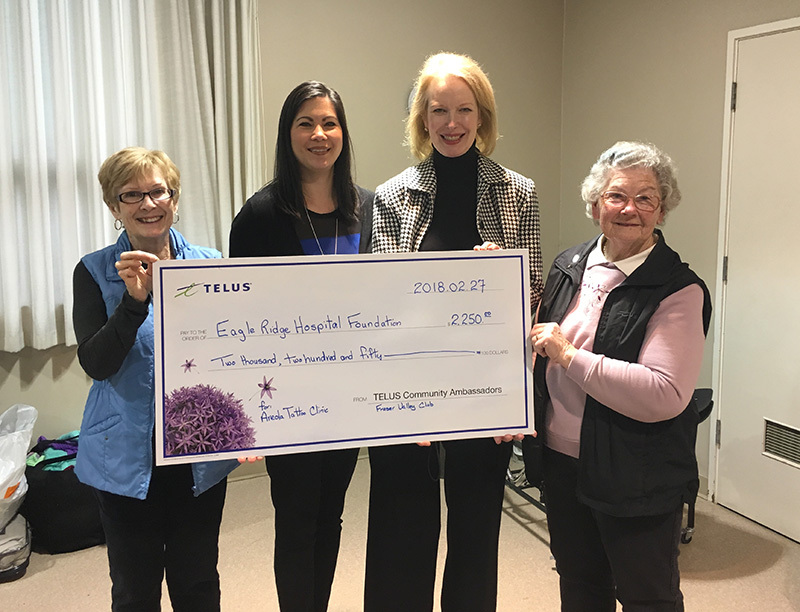 TELUS Community Ambassadors raised $2,250 for Eagle Ridge Hospital’s Areola Tattoo Clinic, a specialized clinic benefitting women in the final stages of their cancer journey. Thank you for making Eagle Ridge Hospital Foundation your Charity of Choice! Pictured Left to Right, Saundra Keayes, TELUS Community Ambassadors, Kristina Murray and Cheryl Bosley, Eagle Ridge Hospital Foundation and Linda McGenn Jackson, TELUS Community Ambassadors.